Want to know the difference between domain name and web hosting? For beginners, domain name and web hosting can be daunting terms. However, you’ll need to own both a domain name and web hosting in order to create a website. In this article, we’ll explain everything you need to know about domain names and web hosting. To be able to create a website, the first thing you need to do is purchase a domain name along with web hosting. Once you register a domain name, you get the right to use that name for your website for a year. 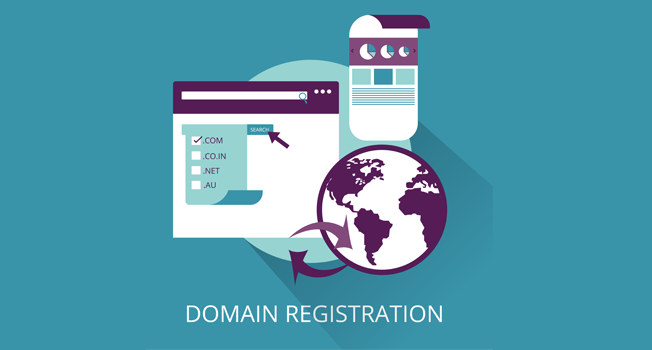 You are required to renew your domain registration as long as you want to keep the name for your site. And, if you ever lose interest on a domain name, then you can let it expire so that someone else can purchase it. A domain name typically costs around $14.99 per year. Web hosting is where people store the content and files of their websites. When a visitor tries to access your website by typing in your web address (domain name), then they’ll be directed to the website files stored on your web hosting server. 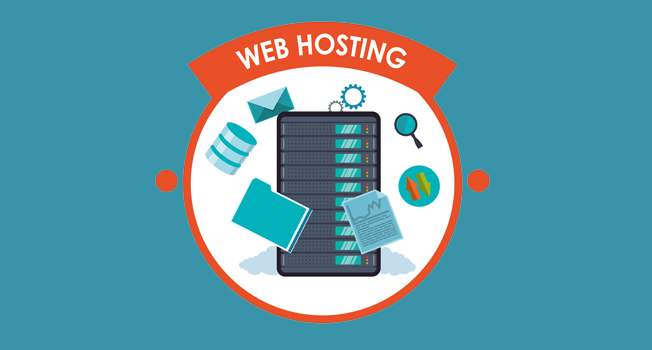 Oftentimes, the term web hosting refers to the company that rents out their computer/servers to host your website and provides internet connectivity to ensure your website is available online around the clock. 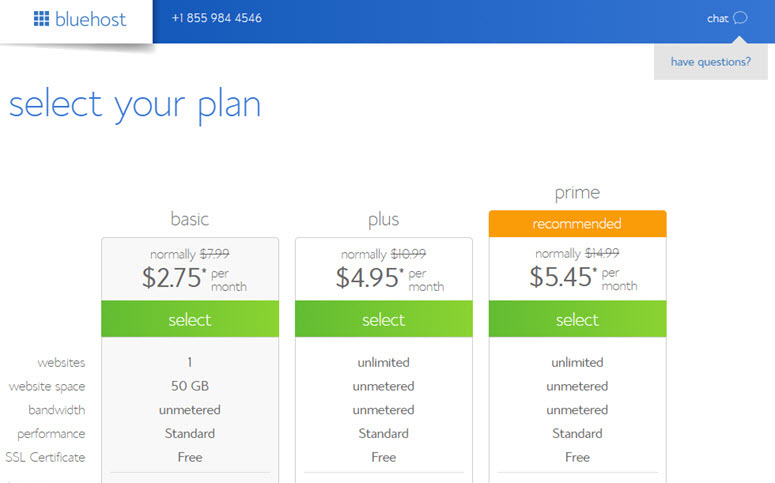 A web hosting account typically costs around $7.99 per month. Domain Name vs. Web Hosting; How are They Related? A good way to understand the difference between the two is to think of them this way: if the domain name’s the address of your house, then web hosting is the actual house that the address points to. In fact, a domain name is like an address forwarding service. As people type in the address of the website they want to visit, it points to the IP address that contains your website. An IP address is a series of numbers, such as 123.23.234.45. This IP address then points to the location on the server that contains your website files. The reason we use domain names instead of IP addresses is that names are easier to remember than a long string of numbers. In a nutshell, your domain name points to your IP address, which, in turn, points to your website. That way, users around the world can easily access your website by simply typing in your domain name into their web browser. There are different types of web hosting to choose from such as shared hosting, VPS hosting, WordPress hosting, eCommerce hosting, dedicated server, blog hosting, and reseller hosting. When you’re starting out, we recommend you choose shared hosting or WordPress hosting because they are ideal choices for most website owners and bloggers in terms of affordability and needs. You can read more about different types of web hosting. If you specifically want to build a WordPress site, then we recommend you to choose a WordPress hosting service. In most cases, both shared and WordPress hosting cost pretty much the same. The only major difference is that WordPress hosting comes preinstalled with WordPress on your hosting account. This offers great convenience so you don’t have to manually install WordPress on your web hosting account. We’ll show you how to purchase a domain name and web hosting, step by step. One of the first things you’ll need to do to create a website or blog is purchase a domain name and web hosting. When you want to start a new website, the combined cost of domain and hosting can seem like quite a lot. That’s why we’ve worked out a deal with Bluehost to offer our users a free domain name, free SSL, and over 60% off on WordPress hosting. It’s an amazing offer to get started. Bluehost is one of the largest web hosting providers in the world. They have been involved in the WordPress community since 2005, and they are an officially recommended hosting provider by WordPress.org. Let’s take a look at a step-by-step guide on how to purchase web hosting along with a domain name. To start your WordPress blog, head over to Bluehost website and click the Get Started Now button. On the next page, you’ll be asked to choose a plan. As you’re just getting started, you can choose the basic plan that also includes a free domain and free SSL. You can always upgrade your account as your site grows. In this step, register a domain name for free. 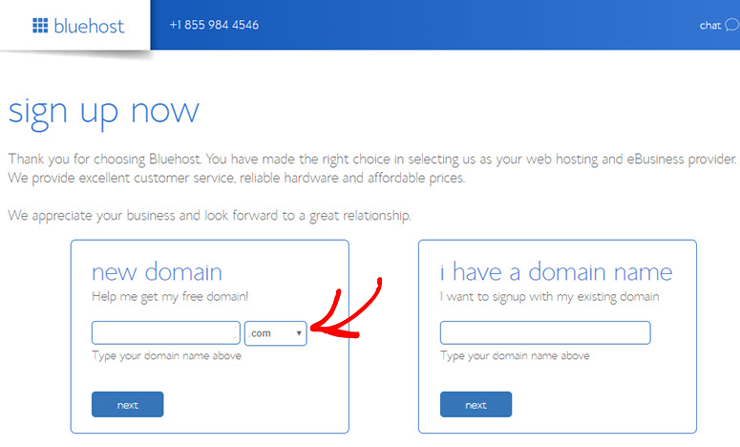 Bluehost will cover the cost of your domain name registration. After entering your details, scroll down the page until you find the package information box. You can select the basic plan for 12 months, 24 months, or 36 months. You can also see that a few addons are preselected which increases the total price. You can uncheck these addons because you won’t be needing them right away. You can always add them later, if needed. Once you have configured your plan, scroll down the page further to enter your payment details. You will need to Agree to their Terms of Service and then, click Submit. You’ve successfully subscribed to a hosting plan. You will be asked to create a password for your account. After that, you’ll receive an email with details on how to log into your web hosting control panel (cPanel) where you can manage everything from hosting files to emails and support. When you purchase a domain name and web hosting with Bluehost, you can waive off the domain registration fee for the first year. Another benefit is that you don’t have to keep two different accounts for managing both the domain name and web hosting. If you’re looking for Bluehost alternatives that give you a free domain while purchasing a web hosting account, then here are a few web hosting providers to consider. You don’t necessarily need to buy both the domain name and web hosting together. 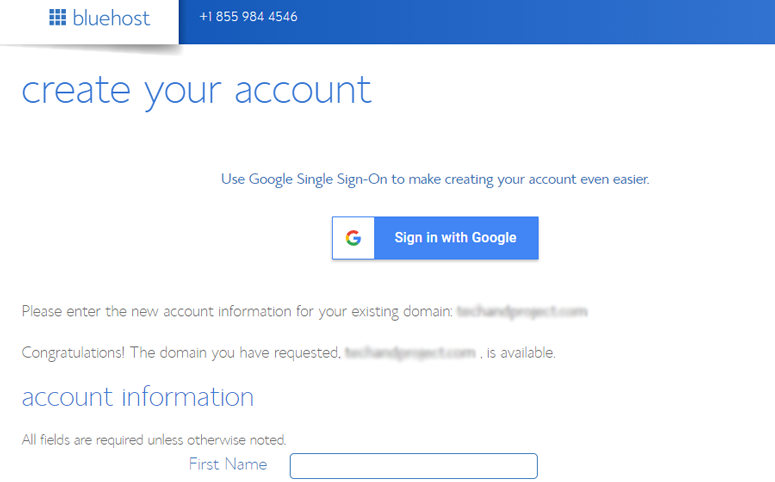 Instead of buying them together, you can get a domain name from a domain registrar first. And after purchasing your web hosting account, you can point your domain name to your web hosting by editing its DNS settings. Conversely, when you purchase both a domain and hosting from the same company, then you’re not required to change the DNS settings. Plus, it also provides you with a high level of convenience because you can manage and renew both services under the same account. No matter where you registered a domain name from, you’re free to transfer it to another registrar whenever you want. Users usually transfer their domain name if they’re not satisfied with the service offered by their current domain name registrar. Whatever your reason for transferring is, to initiate the transfer, we always recommend you to wait at least 45 days after the registration or renewal. ICANN, the international organization that oversees domain names, requires one year renewal whenever a transfer is initiated. By transferring your domain name before that period you could lose that year’s renewal fee. In some cases, switching your web hosting is easier than transferring your domain name to another registrar. It’s because most hosting providers offer free website transfer. If you’re planning to transfer a website to another web hosting provider, the first thing you should do is ask your new hosting provider whether they offer a free website transfer. If yes, you can hand over the required login credentials to the customer service for the free website transfer. Usually, web hosting providers only offer free cPanel to cPanel transfers. If your existing web host doesn’t use a cPanel, then you might want to transfer it on your own. For example, if you’re running a free WordPress site on WordPress.com and then you decided to switch over to a self-hosted WordPress platform, then chances are your hosting provider doesn’t offer you a free transfer. In that case, you can follow our step-by-step guide on how to move your website from WordPress.com to WordPress.org. We hope this guide helped you understand the difference between domain name and web hosting. If you enjoyed this article, you might also want to read our guide on how to start a website. Great information and really liked this post. All of the mentioned steps are essential while choosing a good web hosting company, i chose Hostnoc to host a website. Thumps Up for your informative post and waiting for your latest post.